What if there is a tool to help differentiate and profile your investment styles and also helping you to understand and discover your patterns and habits when investing? Which can be duplicated time and time again applying to each of your trades and transactions. May practices Western Astrology with primary focus on Psychological Astrology. 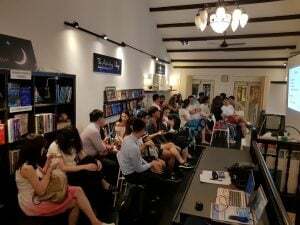 She is the first Asian to graduate from the International Academy of Astrology’s (IAA) 3.5-year Diploma in Modern Astrology programme and she now lectures in the college among a faculty of renowned Astrologers from the USA, Australia, Portugal, and the UK. Today, she draws from her experience from seeing 2,000+ clients in consultations, to audiences locally and internationally resolving concerns related to dating relationships, career switches, family, financial and investments, etc. In 2013, May founded Selfstrology Academy, to educate other aspiring astrologers to apply Psychological Astrology in their own lives and others’. 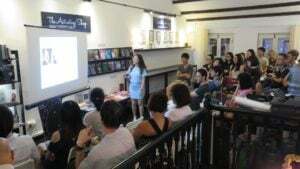 Many students and graduates of the Academy have gone on to apply these techniques in their workplaces and personal lives. 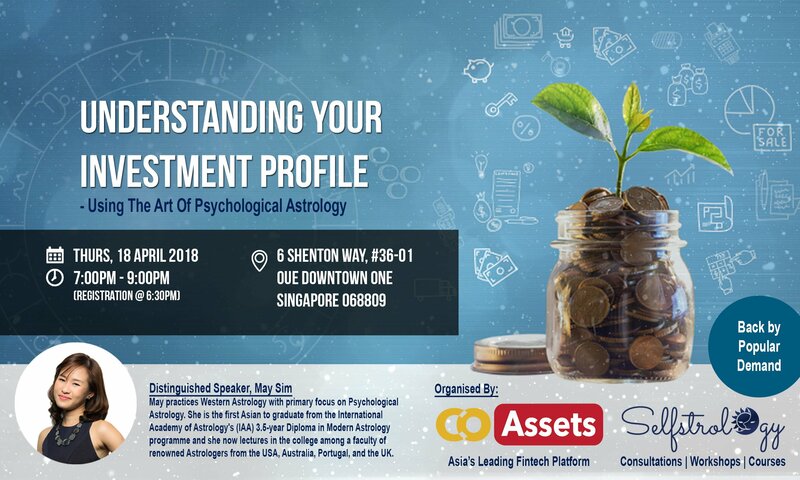 Known for her engaging and interactive live presentations, May is frequently invited as a speaker on the application of astrology as a profiling tool for organisations ranging from private firms and networking groups to government agencies.